WHEN THE R32 was introduced to the UK early in 2003, it was an instant hit with performance VW enthusiasts looking for something realy special. Here at last was a Mk 4 Golf which not only performed and handled like a true hot hatch,but also looked just right. 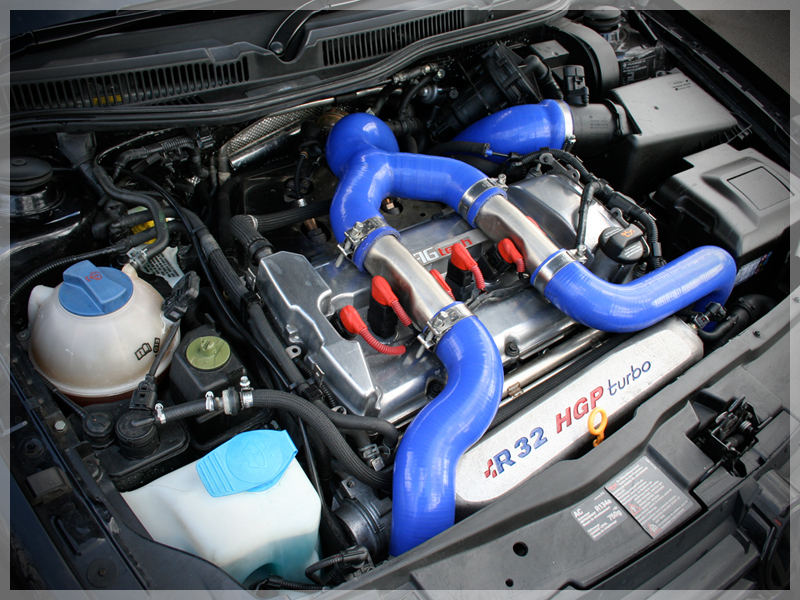 Many preferred the muscular but mature styling of the R32 to the bold, brash overt image of rivals like the Subaru lmpreza or the super subtlety of the Audi S3.In the R32 they now had the silky smooth performance of a tuned V6 allied to four-wheel drive, with uncompromisingly sporting handling and all the practicality of the five-seater hatchback. 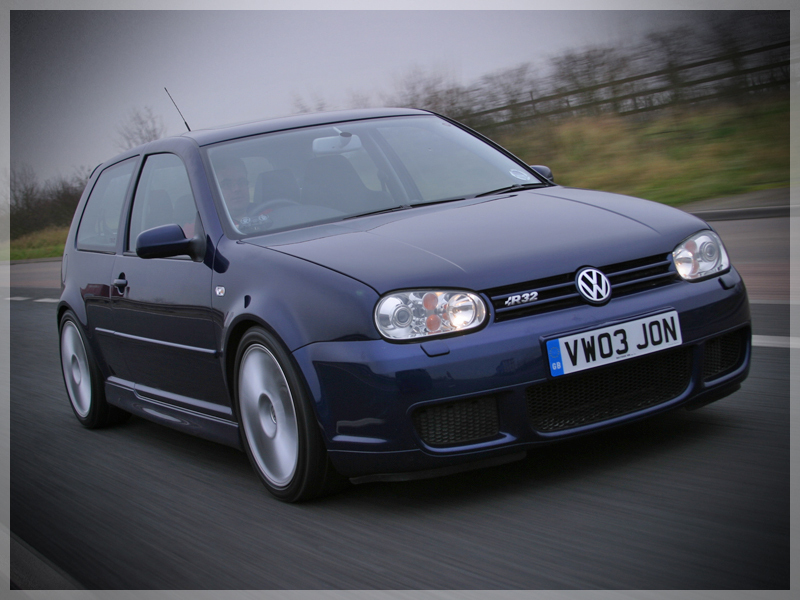 Among the ranks of those who were instantly smitten by the R32 was Jon Watts of Milton Keynes. Although he’d spent much of his working life as an IT consultant, designing and troubleshooting computer systems for the big banks, Jon had always been a dedicated car enthusiast. with a string of high­ performance cars – mostly BMW or Volkswagen – to his name. and the R32 was a natural aspiration. His involvement in performance VWs dates back to the time when the gearbox of his Mk 2 GTI 8V developed a fault and he visited Clive Race at German Recycled in nearby Hockliffe for a replacement. The possibilities posed by a breaker’s yard full of engines and gearboxes proved too much and before long the Mk 2 was also lined up for a G60 engine transplant. Although successful. this was soon superseded by a VR6 swap, along with just about every other high-tech conversion possible, including a Mk 3 dash swap and ABS upgrade. But it was at GTI International in 2004 that the real inspiration came. By this time, he had left the stresses of his high-powered job in London behind and was keeping his options open. He’d also invested some of his hard-earned cash in the R32 he’d lusted after since he’d first seen it tested on BBC’s Top Gear.Wayside VW at St. Albans had an order cancelled for a brand-new Deep blue pearl R32 and Jon was around at just the right time to pick it up at a good price. It didn’t take long, though, before he wanted to improve its performance and visited AmD Technik at Bicester for its Stage 2 re-chip and Milltek exhaust, pushing the power up from 240 to 270 bhp. It was to be only the start of a conversion process which was to see the R32 transformed into a true supercar.